For their science summatives, the grade 10 students presented their findings from the Algonquin expedition. Each group analyzed a specific aspect of the park; examples of topics included dissolved oxygen, soil type, water pH, birds, mammals, trees, soil pH, water ions and others. 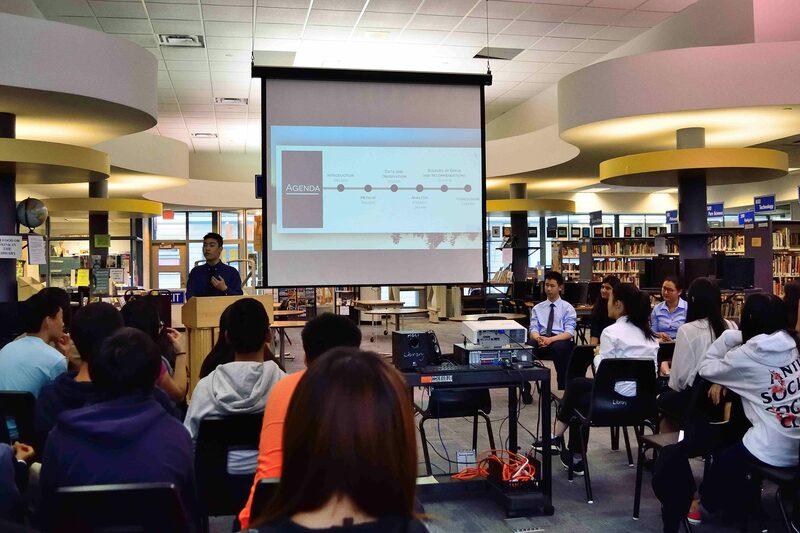 They communicated their findings through a formal scientific paper and a 15-minute presentation to the class in a formal setting that also included many parents. Well done.